Recommended for Sprinter/Dodgevans with 118" wheel base. This basic storage system is designed forevery budget. All shelves are adjustable on 2" centers. Recommended for Sprinter/Dodgevans with 118" wheel base. This basic storage system is designed forevery budget. All shelves are adjustable on 2" centers. Heavy duty 16 guage steel shelves with double hemmed front lip 1.5" high and rear lip 3" high. Finished in off-white powder coating toprovide years of durable service. Includes all assembly and installation instructions and hardware. 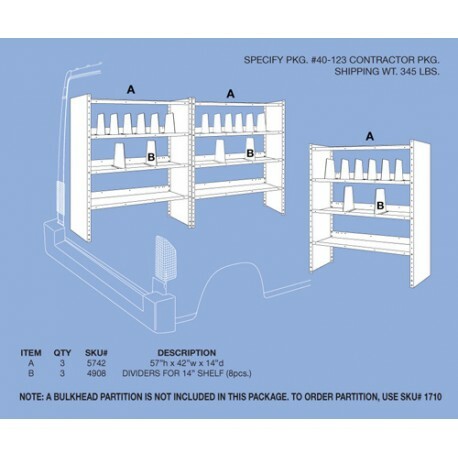 Shelf units measure 57" high x 14" deep x 42" wide. Floor space required: Driver = 84", Passenger = 42". 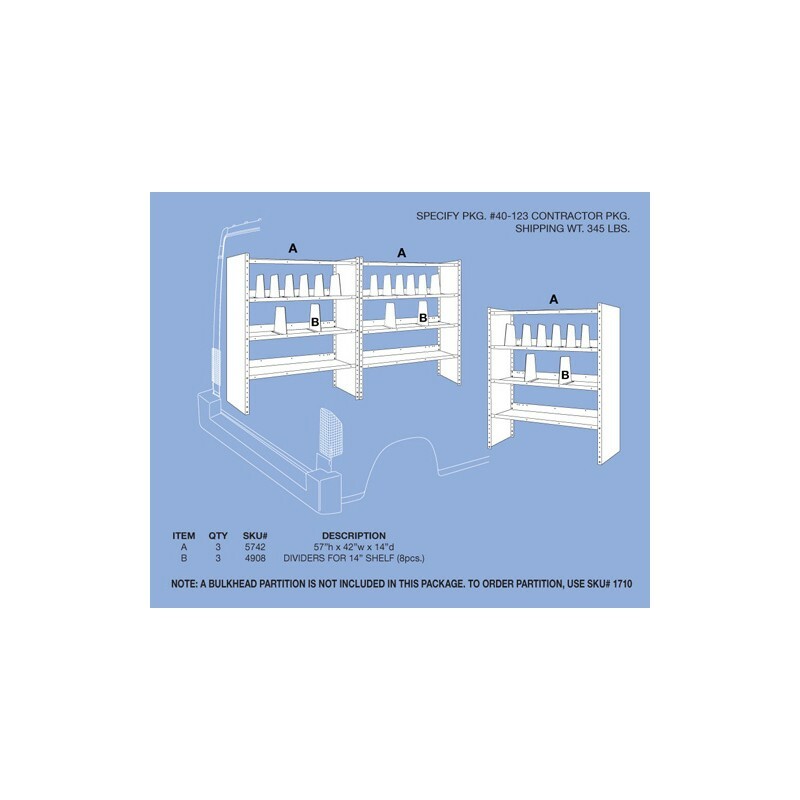 Supplied with 24 bolt on adjustable shelf dividers.We recommend measuring your van both at the floor and at the roof line to ensure proper fit for your vehicle.To order a bulkhead partition for your van, use SKU# 1710.